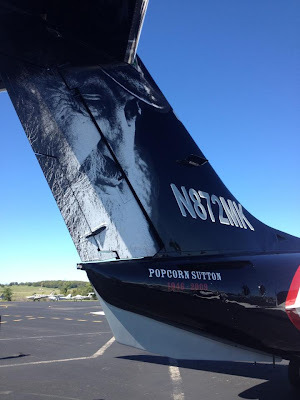 Home » airplanes , appalachia , awesome duuuuuuude , moonshine , popcorn sutton » Popcorn Sutton: The Airplane! That is the most awesome aircraft in history, and infinitely cooler than the Stealth Bomber. I wonder if we'll ever see a NASCAR driver sponsored by Popcorn Sutton's moonshine. Now that would be a beast of a hot-looking car! This plane was at KBUF Sunday July 10!!!! Awesome sight!!! !